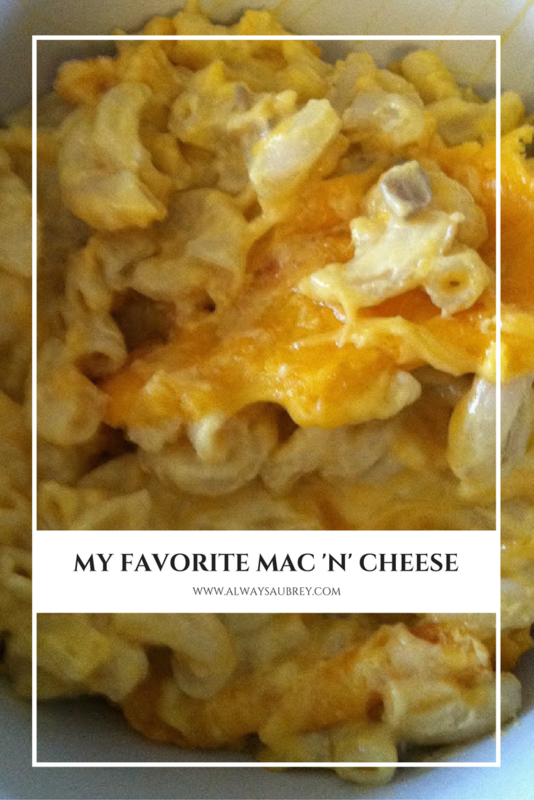 I've been making the same macaroni and cheese recipe since 2011, but since then I've made a few tweaks and variations. It's seriously delicious and cheesy, and I haven't found a better recipe out there since my Army buddy DW gave me hers. 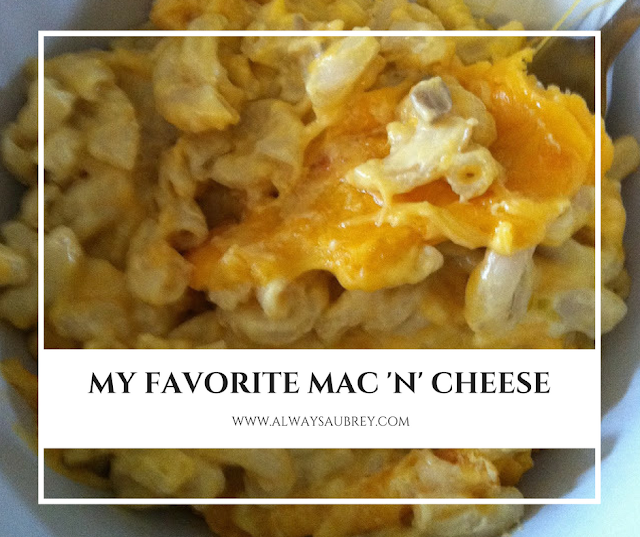 It's one of the dishes I'm known for at potluck, and it's one of the recipes people most ask me to share. (optional) mix-ins to your liking, like bacon, broccoli, herbs, chicken, etc. Make the macaroni as directed on the box. Drain and mix in the cheese packet. Stir in sour cream, cream of mushroom, and a handful of shredded cheese until well-mixed. Add salt and pepper to taste. I like a good sprinkling of pepper in this. Mix-in Option: At this stage, add any mix-ins that you'd like. Cooked chicken chunks, bacon, broccoli, herbs, etc. I think shredded chicken takes this dish from side dish to main event! 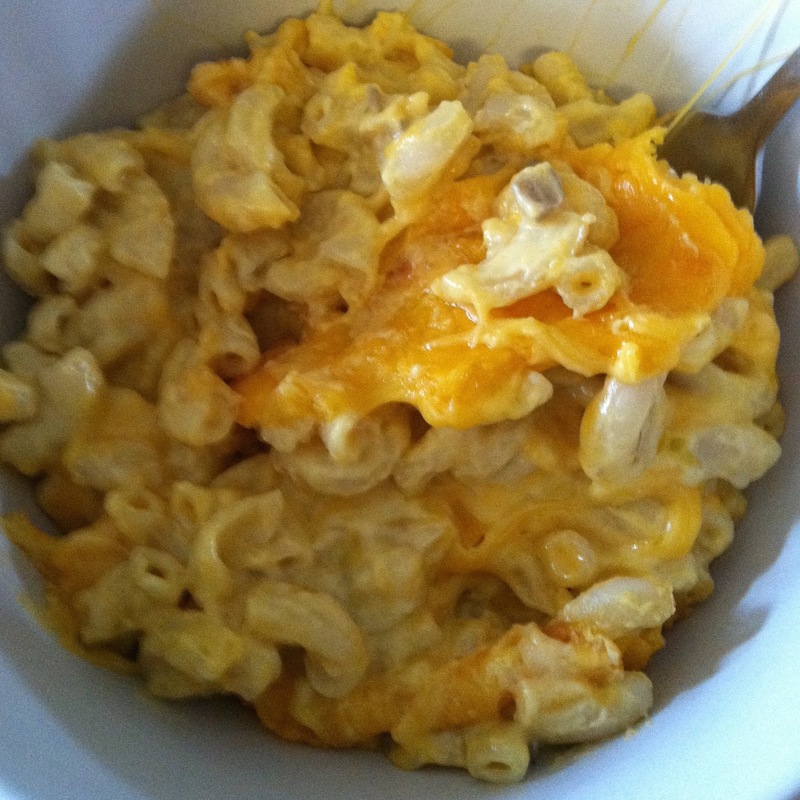 Spoon half of macaroni into baking dish (I use an 8x8 dish, or a loaf pan.) Spread into layer. Then sprinkle cheddar cheese on top. Repeat if your dish is deep. Topping Options: A) Sprinkle a layer of cheese on top for a golden cheesy "crust". B) Sprinkle panko breadcrumbs on top layer for crunchiness. C) Or, if you're doing a pot-pie version, place your crust on top of the macaroni, brush with egg wash for good color, and cut a few slits for venting. Bake uncovered in oven (keep an eye on it) until breadcrumbs are toasted brown or crust is golden. This is what a bowl of this looks like (old photo) without the breadcrumbs. I started adding the breadcrumb topping and pepper to taste after this photo, and I love it even more. The pictures below are from a single batch that I made this past weekend, with a pie crust top. It was comfort food heaven!